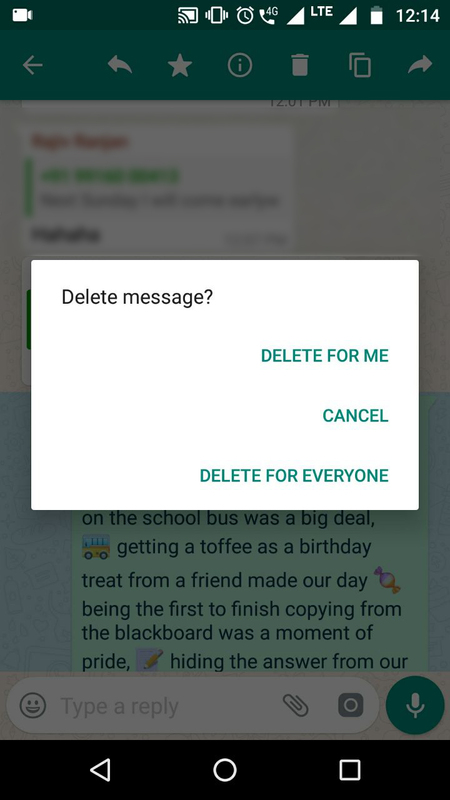 WhatsApp has launched a new option of delete message from group or individual chat. It is a very useful message for everyone, most of the time we send wrong messages or pictures in group or individual. 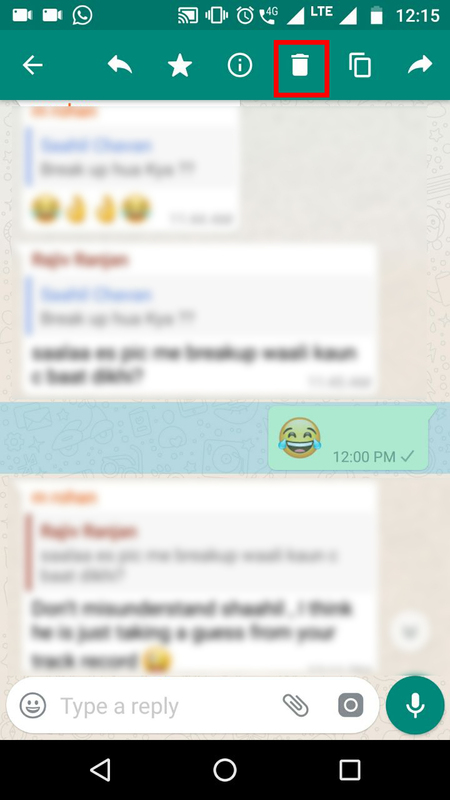 Now you can delete very easily from your chat box. 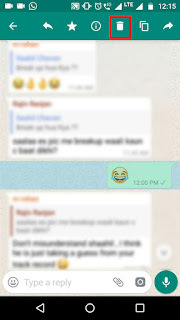 Note : You can delete the message or image or video up-to 7 minutes after sending it. after that you can't do anything. 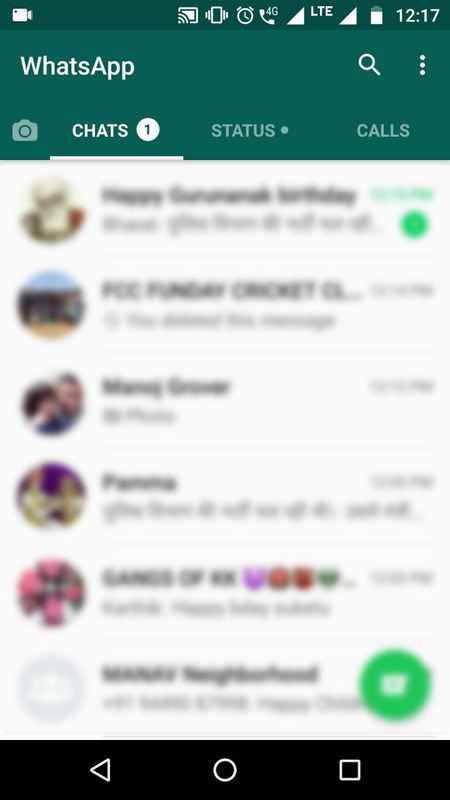 It means deleting time is only 7 mins after sending anything. 1. 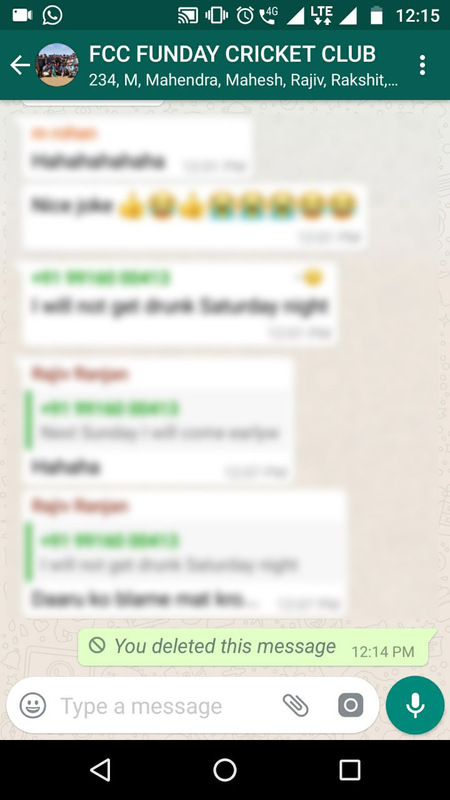 Open any group or individual in WhatsApp, where you want to delete anything. 2. Please select the message or picture or video and press the delete icon from top of the screen button. 3. It will ask you, DELETE FOR ME, CANCEL AND DELETE FOR EVERYONE. 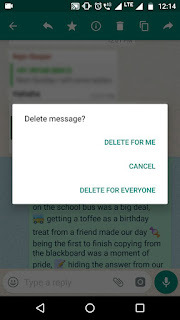 you can select Delete for Everyone (you have only 7 mins to delete it for everyone). 4. 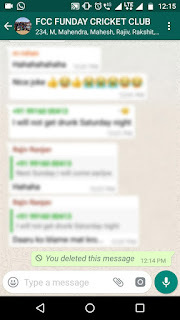 Once you delete it from WhatsApp, you will see a message "You deleted this message"
It's done, your message has been delete for everyone's mobile phone.